THE CHAIRMAN!!! Edward Charles "Whitey" Ford is an American former Major League Baseball pitcher who spent his entire 16-year career with the New York Yankees. He was voted into the Baseball Hall of Fame in 1974. 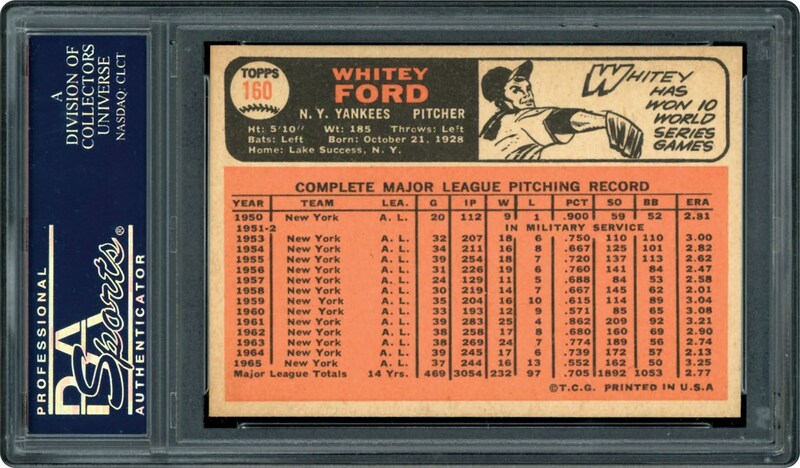 He began his Major League Baseball career on July 1, 1950 with the Yankees and made a spectacular debut, winning his first nine decisions before losing a game in relief. Ford received a handful of lower-ballot Most Valuable Player votes despite throwing just 112 innings, and was voted the AL Rookie of the Year by the Sporting News. 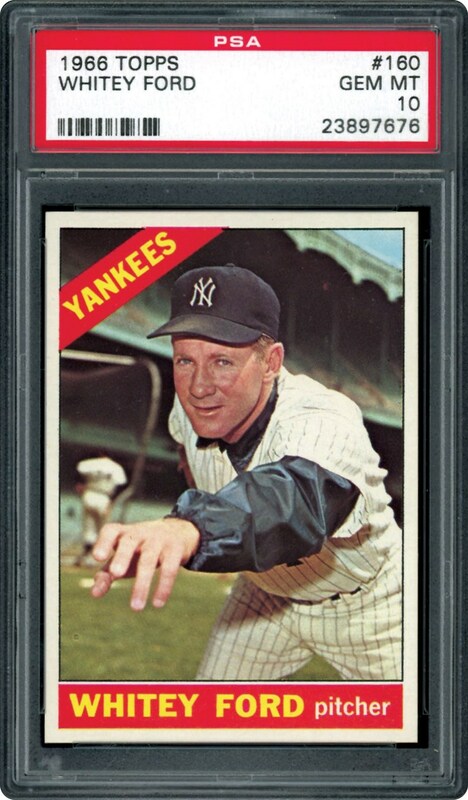 Offered here is a GEM MINT 10 issued by PSA from the 1966 Topps Baseball series. Pack fresh beauty, this is the one and only GEM MINT example issued by PSA. Stands Alone in the 10 holder!! !